It is December and I am sitting in our new home watching the flickering lights on our Christmas tree and reminiscing over the past 2 years. It was a season of our lives that I wouldn't change a thing about. I believe that the moments that scare us, push us out of our comfort zone and leave us not knowing what’s ahead are the moments that grow us and give us a new found strength in who we are AND who God wants us to be. That is…..if we give our worries over to him. Because sometimes things are simply out of our control and very unknown. We were in a season of going with the flow and seeing where we were supposed to be…….It was amazing to see that when we said “God lead us, guide us and put us where we are meant to be to raise our children and do life” We felt a peace and for the first time my controlling personality mixed with a fear of change was lifted away and I just went with it! As I've mentioned in prior blog posts……We sold our house we had made our HOME over 12 years, we moved in with my parents for 11 months and we dreamed………………..
We dreamed about land, building, settling and contentment. there were times in between where we looked for a few fixer uppers, made offers on houses (even in Florida!) and then the opportunity arose for us to purchase land on our favorite farm in our favorite town and community. 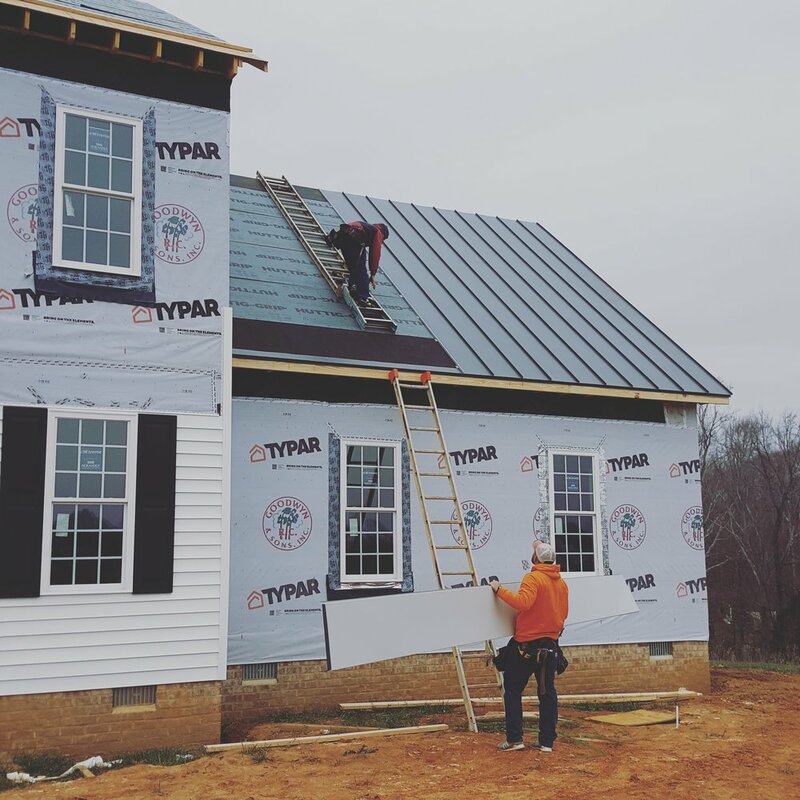 My husbands dreams of building his own home were becoming a reality and the idea of living in my parents home….with them….EVERY DAY;) was coming to an end. Now, let me explain my parents. They are indeed the most loving, selfless, giving humans EVER in my opinion! They gave up a large portion of their home for US during our In-Between time and encouraged every crazy dream we had;) We told ourselves we would move out before a year came (because we really wanted to still love them after the whole living under the same roof experience, haha) and at month 8 we bought a used 31 foot RV! we gutted it, cleaned every nook and cranny, painted it and decorated it over a few months. In January 2018 (11 months into living with my parents) We moved our RV into our new land!! IN THE SNOW! Things felt cozy, exciting and we were ready! like a vacation! an unknowingly 7 month vacation, hah! You see……we jumped on this day to move because the snow had knocked out my parents electricity for 3 days and we found out that OUR land had power! we were getting stir crazy and we figured what better time to move than that day! Remember how I mentioned I was controlling? So many things happened in those 7 months that if I had known them ahead of time I would have said NO, NO, NO, we will NOT live in an RV! If I would have known how often we would eat out at restaurants and fast food….well I don’t know how I would have prepared for that, hah! If I would have known the fun, the adventure and the heart change this journey would bring us I would have said “Let’s do it sooner!! A few nights into our tiny living experience we bought salads and snacks and made a campfire. The kids giggled, and told us over and over how much fun they were having! We felt like we had suddenly gifted them with the most magical experience and we were ready to get on their level. Because don’t kids just have more fun? They live in the moment, they live life filled with joy and wonder. Adults……We take things to seriously, We make to many plans, We stress over things not going OUR way, We spend to much time wanting more and less time feeling thankful for what we have. In this moment we didn't have much in our tiny RV…….We didn't have running water…..We didn't have a great size sofa, or a laundry room, or a full size frig. We didn't have space to stretch out or places to go to get away from everyone else, hah! What we DID HAVE was each other. As silly as that sounds it became a clear truth that we needed more of each other. We had gotten busy, family dinners were rushed, evenings seemed to last a millisecond, and it took living in a tiny space having to do EVERYTHING together to get our family back on track. Then we had our first pile of dirty dishes in the sink……….hm………that's tricky. I put the stopper in the drain, filled the sink with some soap and heated coffee mug after coffee mug of water in the microwave and poured it into the sink. I scrubbed the dishes and rinsed them with cold bottled water. I averaged 4 bottles of water each time I did the dishes and we had started quiet the recycle bin;) If I was smart I’d fill glass jugs and old water bottles with water each time I’d visit my parents on Mondays while I did my weekly laundry. Let’s get into the nitty gritty now…….The toilet……The toilet Magnolia who was 2 and ready to start potty training was TERRIFIED of, haha. The toilet worked just fine……and flushed…..with water of coarse. So we got creative and put an old barrel on one end of the RV where melted snow and rain would drain into. we would fill our old water jugs with rain water and keep 2 jugs at a time in the floor of the bathroom (because that was all that fit) and the older kids soon became pro’s at using the RV toilet! Cooking wasn't easy but it was doable. The gas stove was incredible actually and it didn't take long to learn how to use the convection oven which was also the microwave. We made mini lasagna, fish, sweet potato fries, you name it, we tried it! The microwave was great for our countless bags of popcorn “if” we remembered to turn off both space heaters before hand. If not, all of the breakers would trip and we'd have to start over. 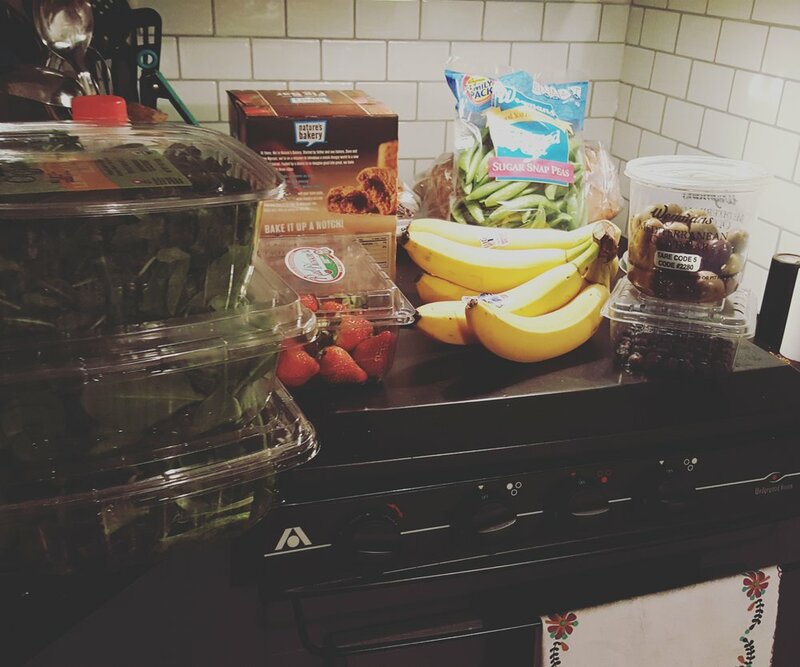 The photo above was taken BEFORE I broke down in tears realizing that most of the beautiful produce I had just bought (you know, to help us feel better about eating fast food so often) wouldn't fit in the frig…….no matter how well I stacked, wedged, and smooshed food in, some went into a cooler outside and some was eaten that night. And here are two photos that are forever stamped in my mind. 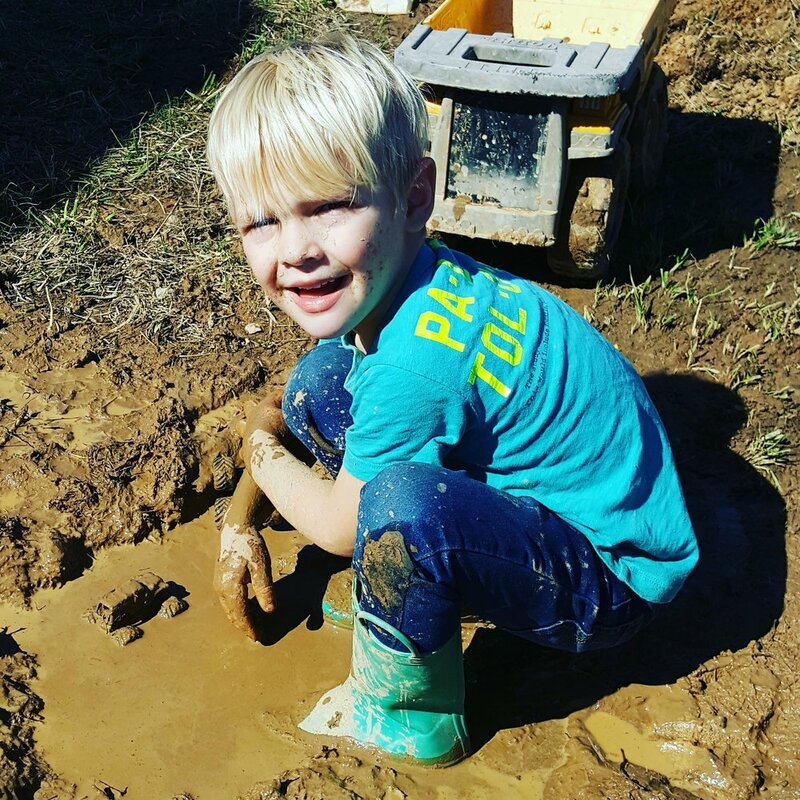 Our two youngest are messy, adventurous, and have no problem getting filthy from head to toe. That's not a huge problem when you can quickly stick them into a bathtub…..not easy when there is still NO WATER. I used my coffee mug water warming method to fill this Blue fruit bowl and sponge bathed both kids. not just once, but quiet often because we couldn't seem to keep them out of the lovely mud that filled our yard each day from melting snow and giant trucks delivering building materials, getting stuck and creating muddy ruts everywhere. hah! This blue bowl sits on my counter every day holding fruit. It used to just be pretty…..now it is a daily reminder of how blessed and fortunate we are to have running water every day and a reminder to pray for those who are less fortunate. As I look through pictures I took (and I took ALOT) there aren't many where our kids are not smiling. They were amazing troopers through the whole experience. They helped out with the dishes, sweeping, washing windows and preparing meals. Honestly it was seeing their joy that helped us get through what could have been a tough season. On a normal day in our old home I would have spent my days much differently. I would have spent countless hours doing laundry, cleaning a much larger space and sewing. In the RV I spent time slowing down, and oh how my soul needed that!!! I read books! 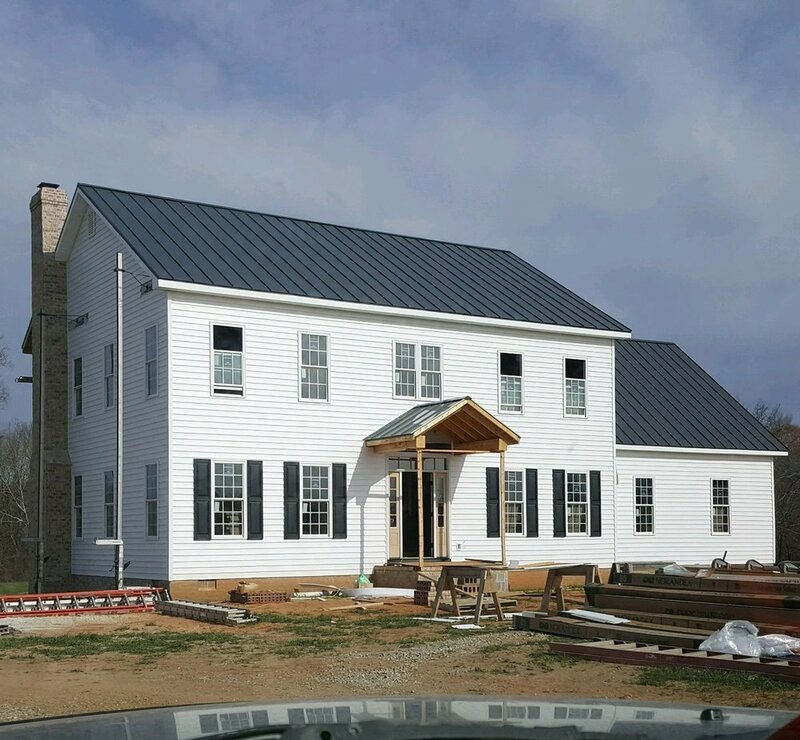 I journaled, I designed our new home, and I watched my kids more. not in the typical “make sure they don't get into anything” kind of watch……I noticed my kids more. I noticed how they are growing and learning. I noticed more of what made them happy or what triggered them to feel emotional. We parented differently. When things got wild and everyone was getting on each others nerves, instead of sending each of the kids to their separate rooms we had to figure out a new plan. For the first time in my time of being a mother I stopped and got on their level (literally) and I looked in their eyes and I stayed calm and we talked through the craziness. This taught me so much! I saw where yelling and separation was not what worked for our kids……instead it was noticing their feelings and WOW what a game changer that was. We listened to music 90% of the time:) We chose a few new artists and fell in love with the music and the vibe it filled the RV with. These are artists that I will listen to for years to come and always be reminded of this sweet segment of our lives. A few of our favorites were: Johnnyswim, Andrew Belle, The Civil Wars, and The Greatest Showman soundtrack, Ray LaMontagne, The Chainsmokers, and Chet Porter. We danced ALOT! In our home there is always dancing. When someone wakes up grumpy we dance. When someone gets a good grade on a test we dance. When we make tacos for taco Tuesday we dance;) preferably to the last two artists I named. If you haven't tried dancing through life, give it a try! We played a lot of games. because we were so limited to space and storage for many toys we played cards, mancala (the marble game as we call it) Guess Who, and they colored and drew countless pictures. Our view was one for the books! Sun rises and Sunsets so beautiful! The kids loved waking to the bright sun that filled their room and WE enjoyed the quiet evenings watching the pink, orange and purple sky. My favorite view? The one out my bedroom window. Our RV sat 50 feet from our new home taking shape and I watched every day in delight of our dreams coming true. Our dream came with a lot of hard work and long days, I watched from my window my husband, building and building and building. From the first bit of plywood on the first floor to framing walls being lifted with helping hands from friends and family. I watched him work tirelessly in the freezing cold and looked forward to the soup and hot coffee dates we’d have through the day. At night I’d watch out of our bedroom window and see our new home windows filled with light from flood lights as Timothy would be working hard into the night to finish things up after a long day of his own personal full time job. I watched in gratitude of all that was happening and looked forward to the moments I’m having now…..sitting on our sofa in our new warm home. 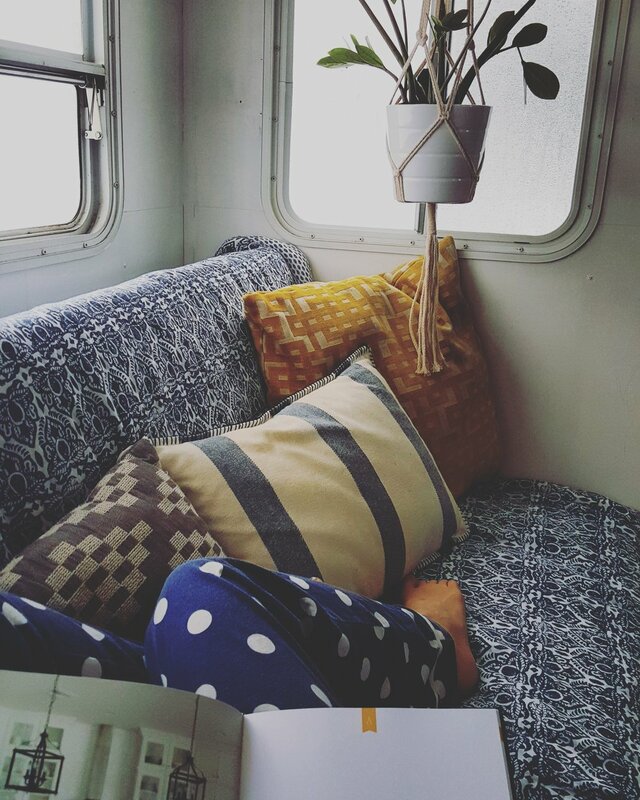 Now that we are in our new home, we look back and love reminiscing on the fond memories of living in the RV. We are thankful for what it taught us, for the ways it helped us simplify our lives, and most of all thankful that it showed us how much we love adventure!! We anticipate buying another RV in the future and taking our kids cross country (if you’ve gone, tell me your secrets and where you went!!) and we look forward to settling in fully to our new home, establishing our mini farm and living life to the fullest!! Parents.....we've seen this on social media and pinterest, and you've heard it spoken to you....and if you're like me you cringe every time, your stomach knots up and you want to curl up in a ball and cry out "whyyyyyyyyyy" . Now.....We realize we're not naïve, we KNOW our children are going to grow up, hah! We didn't become parents and think "I can't wait to have them little FOREVER", but it's hard to grasp right? 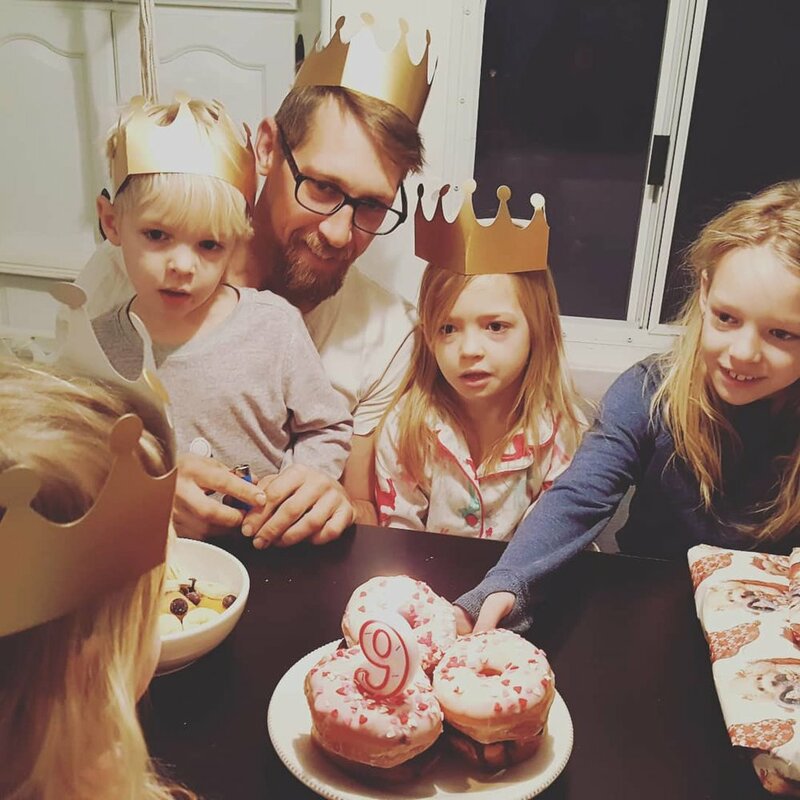 As much as we want our children to escape difficult stages in their growing up years we also don't want to rush time, ideally I would like my kids to stay young, we often joke with our kids that we are going to walk around with something heavy on their heads so they don't figuratively "grow up". But to be honest, as sad as it is to imagine them growing up and becoming adults and moving out I also look forward to watching them grow, watching who they become, watching them discover the things that bring them joy and all the friendships they will form and the love they will find. So until then we strive to live each day to the fullest and be intentional in all that we do. These are our people, The kids we are fortunate to raise, teach and love each day. They challenge us, they push our buttons, but most of all they teach us patience and what the true meaning of unconditional love really is. We have had an insane year and a half of moving, living with my parents, building our home, Living in our RV, all while trying to keep a sane house, happy kids, solid fun marriage and a God centered mission of simplifying our lives. phew!! I wouldn't trade the last 18 months for anything, but boy am I excited to be settled into our new home and slooooow down. oh, and I have GOT to get better at saying "no" to things!!! No more guilt for this Mama because I CHOSE to make a simple shift in our days and live each day intentional. To me that meant waking up and slowly starting our day.......Coffee in hand, snuggles on the bed with the little ones who enjoy waking early;) The kids did daily chores, and as long as I had a few hours of time spent working my personal jobs, working on the house or unpacking, we made time for a few hours at the pool, the park, at a friends, or the summer dollar movies! As we approach a new school season, and new routines, I can say I am looking forward to having a schedule! Am I looking forward to my kids being gone at school? not hardly. Am I ready for my 5 year old son to start Kindergarten? nope! most days I ignore that it's about to happen or I just cry;) But this goes back to our children growing up.....It has to happen, we have to let it happen and we have to learn to enjoy each day to the fullest. so....Instead of focusing on the amount of summers we have with our children, I'm focusing on EACH DAY. 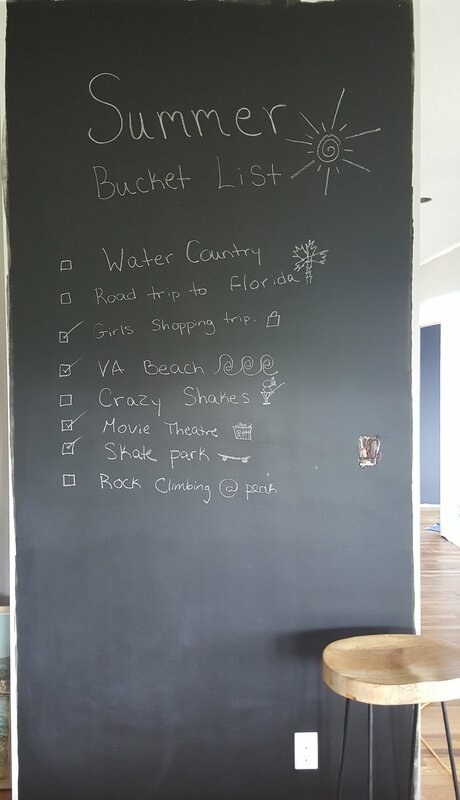 Yes those big planned out trips are so fun......but do you know what I remember the most from my childhood? I remember my dad taking me out for breakfast, or when he would pick me up from school the year before I got my drivers license and take me to the same gas station for sunflower seeds:) Those are the things I remember and cherish......even helping my momma in the garden are times I will never forget. It's the little things.......Kids are so simple! so I'm simplifying my parenting! Maybe you are a stay at home mom or dad, maybe you work full time or part time.....whatever you do, never feel guilt and focus on the little things that bring joy and memories to your children. Maybe its that you let them help you cook dinner one night, or read your grocery list at the store. My big girls love to flip through my favorite cookbooks and meal plan for the week (which is a very new thing to me ever since we lived in our RV and had a Barbie sized refrigerator, hah!) but you know what? I really love it and I think I will enjoy sticking to a meal plan through the fall. we love doing themed meal days. Breakfast Monday, Taco Tuesday, and our favorite is pizza on Fridays with a family movie! 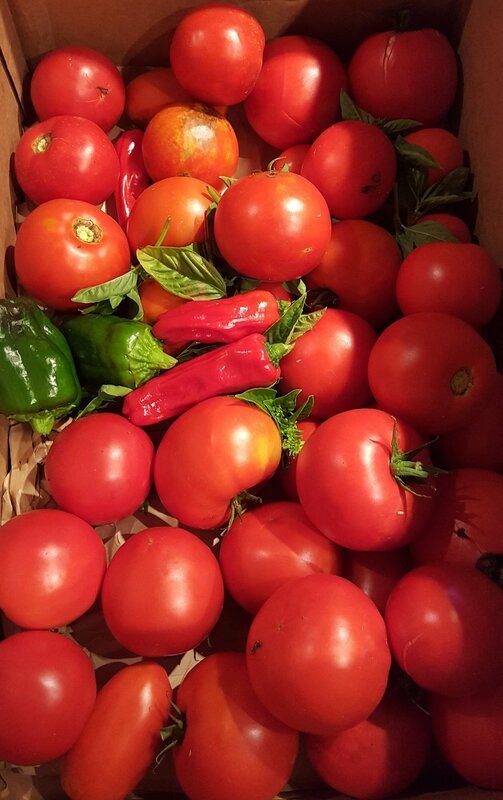 I discovered my love for roasting tomatoes 2 years ago when a sweet neighbor would drop off a small box of gorgeous yellow tomatoes on my door step a few times a week! some days I was heading out the door with not much time and other days it would get late in the evening and I just wanted to get them in the freezer;) roasting takes such little prep work and such little oven time and offers amazing flavor!! This recipe is not a true recipe with exact measurements but here is what I do! Preheat over to 375 degrees. wash and Quarter your tomatoes. No need to peel! dice your garlic and cut your basil. mix everything together with salt and pepper and lay on a cookie sheet and drizzle with Olive Oil. Bake for 30-40 min until the edges start to curl. There you have it! super simple and delicious!! We use these frozen roasted tomatoes all through the winter for various family favorite dinners. Here are our top 3 favorites!! -Homemade Pizza with tomatoes and fresh mozzarella or our new favorite Kerrygold Dubliner aged white cheddar. yum!! for the kids they prefer just cheese......For my hubby and I we love our pizza topped with mushrooms, peppers and fresh basil! -Spaghetti and Lasagna. For sauce we like to put our roasted tomatoes in a food processor with tomato paste (image below of what I use from Costco) to thicken and we occasionally add a few other spices to taste. so simple and tastes so fresh! No one has time for weeds. I waited for the day after a nice rain and easily pulled the tallest weeds and then took the time to layer my beds with a trick that has worked WONDERS year after year. I gathered as many news papers I could get my hands on and even picked up a huge box of packing papers a friend was tossing and I soaked the papers in a large tub of water. this helps the paper mold around each plant base and also keeps the paper from blowing away, which out on our breezy hill I need all the help I can get! and for those of you who love recycling....I can't think of a better earth friendly way to use up old newspaper! The next step involves gathering old leaves, mulch or my favorite.....Pine Needles! It's what I think not only keeps the paper down but also keeps moisture in the plants and also looks clean and manageable. YAY for all of that! 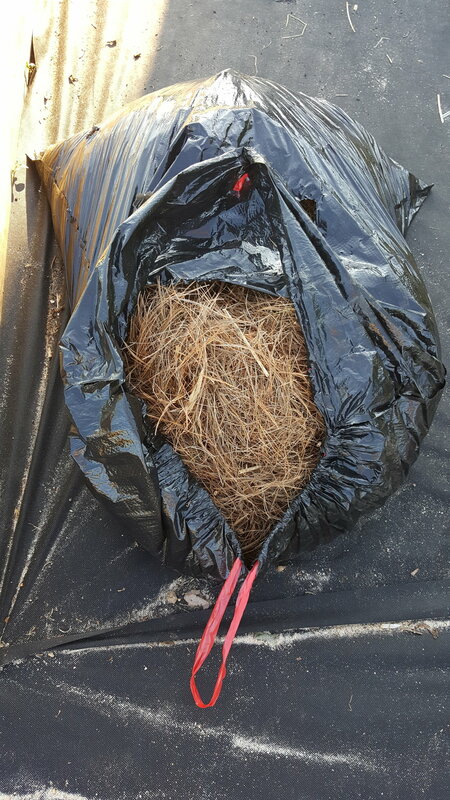 My parents happen to live right across the street from a pine tree forest (The Deep Dark Spooky Woods) as our kids call it;) and we simply rake up endless pine needles and bag them up. What may take a few hours of prep, weeding and layering will save you countless hours in your garden this summer. Like I said, I like a pretty garden, one I can sit back and admire, one I can leisurely pick from and I certainly try my hardest to make it a place I don't feel overwhelmed or defeated in. So take the time, I promise you won't regret it! We sold our first home of 11 years, moved in with my parents and a few months later bought 15 acres on my husbands grandparents farm. After living with my parents for 10 months we bought a 33 foot Cougar pull behind RV and moved it to our land to live in while we build our DREAM HOME. It was adorned in its typical 90's décor, colors and materials;) needless to say, if I was going to picture myself LIVING in it, it needed a little TLC. We stopped at the nearest Home Depot literally on the way home from getting it and stocked up on white Killz primer, white paint, stick on flooring and black hammered spray paint. We painted over the wallpaper and removed all of the cabinet doors and hardware and painted our hearts out. I had a vision for something light, bright and airy. It's amazing how open and roomy it felt as soon as all the brown turned into a crisp white! 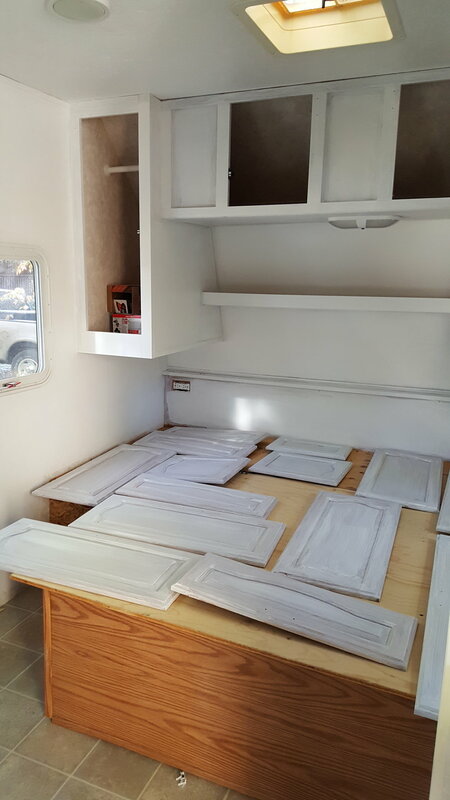 The cabinets took 2 coats of primer and 2 coats of white simigloss paint, and we used a total of 4 coats on the walls as well, 2 coats of primer killz and 2 coats of white satin paint. 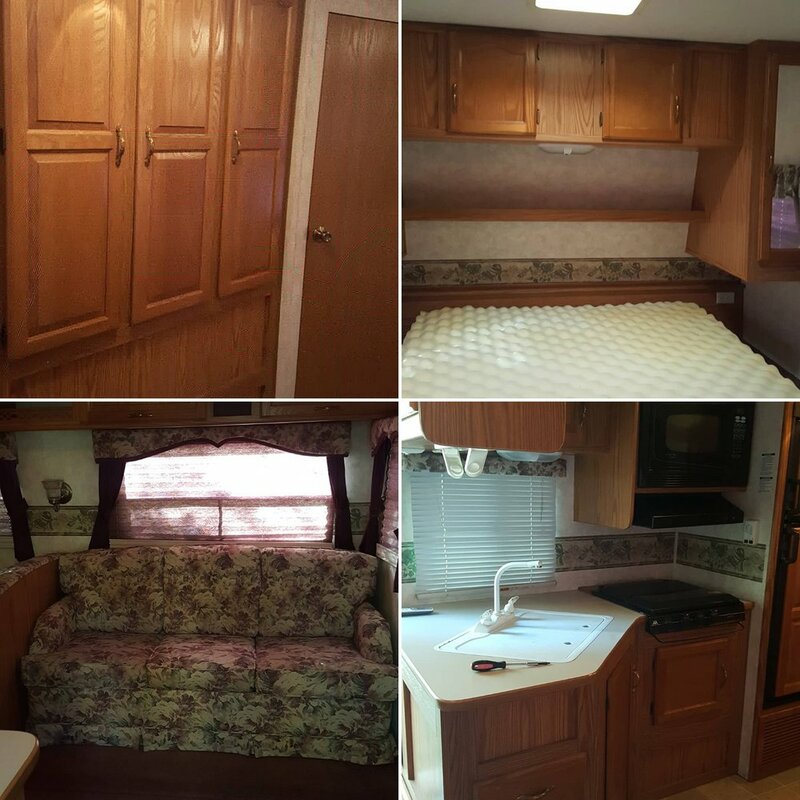 Not only did this RV have good bones to begin with, but everything in it WORKED! Heat/AC, water pump/water heater, convection microwave oven, gas stove and refrigerator/freezer. 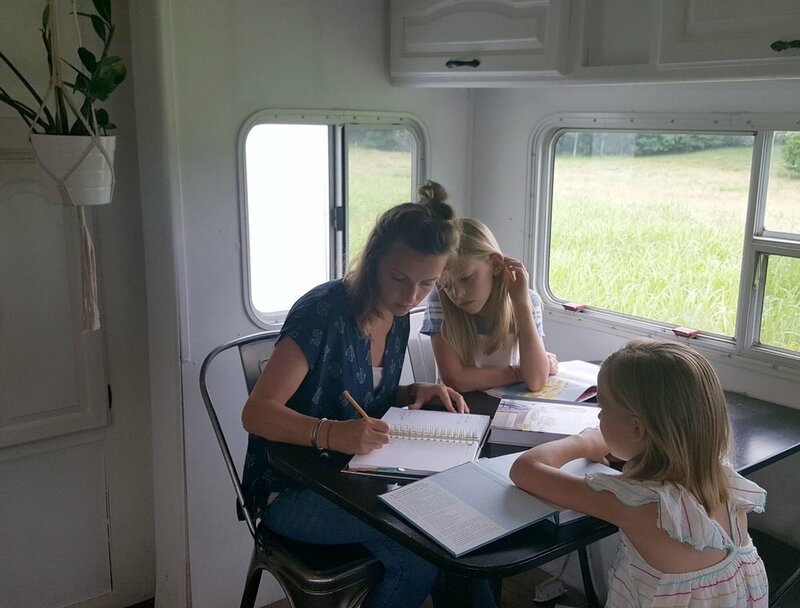 We never owned a camper before so it was all a learning process and we found great resources on various blogs and Pinterest. We decided on gray lower cabinets to break up the white a bit and add character. We then bought Stick-On subway tile from Amazon, spray painted all of the hardware and light fixtures black and installed peel and stick vinyl flooring planks. We did a lot of research in what to use on the countertops.......we knew they needed to be updated and improved but we didn't want to go over budget with replacing them or installing butcher block......so I searched amazon for "countertop paint" and we found this black paint that worked wonders!!! it dries quickly with little to no streaks and they can be scrubbed clean! We originally re covered the bench seats in a gray died drop cloth linen, but with 4 kids and meals.....well you can imagine what they looked like after a few months;) we gained so much more space by removing the benches and found these awesome silver metal chairs on Amazon. Now I'm just wondering why I didn't do it sooner! The memories being made in this RV are piling up like you wouldn't believe. While we're so excited to move out and have more space in our new home we get sad thinking about leaving it. This little RV has held more dance parties, Hide and Seek games (yes I said it, Hide and Seek!) Coffee breaks, Taco Tuesday's and family movies on the bunk beds.......I know it has shaped us in more ways than I can count and we are so thankful for this adventure!! Our biggest adventure to date!! We sold our first home!! Now.....when we sold our house we had no idea we would indeed be moving back to the same Road behind our first home!! When we sold our first home we really didn't know what we were doing.......and that's where our adventure began! We were feeling antsy, we knew we needed to make a move, we had dreams of more land, homesteading......we had prayed for months about what we should do, where we should go, and when we should make a move and everything felt so scary! when you live in the same home for 11 years you feel a sense of comfort and stability. This was the home we brought all 4 of our babies home to, the home I could walk through with my eyes closed because I knew every corner by heart. This was the home that we spent endless hours on renovating, from tearing down walls, adding new ones, painting painting painting and more painting (hah! ), roofing, flooring, landscaping, you name it we did it and had a blast!!!! One of these days I will share the pictures of our home when we first purchased it.....but that would involve finding them, haha! we're still moving and things are still packed up and let's just say that when we get in our boxes after almost 2 years it will feel like Christmas!! I mentioned that we prayed about what to do....and it was when we stopped, waited and listened that we felt a sense of peace......we felt that we were making the right choice and things went together seamlessly! we had a contract on our home the first day our realtor showed it and it hit me.....we are selling our home!?!? Still I felt a peace.....an excitement for the unknowns. We put a whole lot of love, sweat and tears into our home, but I think that was the fun of it all!! As much as we loved our home, we talked about selling it every year it seemed.....so we'd do a few more projects, get a little less attached and year after year my feet felt less planted. We eventually added an addition on the back of our home and a 2 car garage and updated all of our light fixtures, paint and window trim. I say WE.......really it was my amazingly handy Husband and a phone in my hand searching Pinterest almost daily. The right family came along and loved it as much as we did! and so it was sold. We did it! You may be wondering where we thought we were going after we sold our home? The "plan" was to move in with my parents, live in their home and build them a small log cottage on their land. The county had been out a few times, things were getting in order to start building for them, I had a few ideas as to what I could do as far as decorating went in their current log home.......and then.....land became available, a reality......our DREAM LAND! and my parents home remains their warm, inviting home where we still go for visits, dinners, sleepovers and fun!!! Gardening is more than just a few raised bed garden boxes and fresh veggies........To me it's a way of life, a place to get my hands dirty, a place with very little distraction and a constant reminder of my childhood. As I grew up, my mama's garden was huge and bountiful, with perfectly spaced seeds, a system to when and where she planted each plant and as we helped her weed and water we all dreaded yet enjoyed the day when it was canning time:) canning time looked like this: An old sheet laid out on the floor of our family room, gallons and gallons of beans and an empty metal bowl for all the ends we would snap off. We looked forward to the movies we would watch and our favorite shows like Anne of Green Gables and Dr. Quinn Medicine Woman. We'd snap and snap and snap and then stuff ball jars for what felt like days. Then it was Tomatoes we would blanch, peel and quarter. As a young girl I'm not sure I felt the same sense of accomplishment my mama did.......what felt like a chore to us was thoroughly enjoyed over a family meal and repeated year after year. For every time I huffed and puffed over picking and canning my Mama saw a beautiful harvest, hard work paying off and savings in their wallets. I'll never forget the first year I was married.........We had a smallish yard but room for a garden and I was thrilled to begin!! The first thing I did was call Mama.......I asked her to share all her secrets, where to begin and as she always did and still does.....she stopped what she was doing and came right over with her gloves, shovel and wisdom. We had a beautiful garden and When we sold our first home a year and a half ago one of the hardest things to leave was my garden. So many hours were spent there, meals were made for our growing family from the veggies and berries that grew. It was my space, a place I'd sometimes just sit and watch on my cobalt blue bench, sometimes with a cup of coffee, or evenings with a glass of wine. It had a white picket fence, bird houses and mulched walkways . . My mama taught me the importance and ease of raised beds, compost, manure, straw and starting seeds. Just like our home plans began so did my garden......with paper, pencil, a ruler, a cup of coffee and Pandora playing......This time around I included a few things that I most likely wouldn't get to THIS year but we left plenty of space to add later such as tilled rows for cutting flowers and berries. We began with raised bed boxes. After watching my mama for years garden in an open space that she tilled every year, and had a difficult time keeping weeds away she began gardening in raised bed boxes and I knew that's what I would do always. Here's what we did! We used UNTREATED 2x10's. Cut 3 feet by 11 feet. A few nails in each end and we were good to go! You can get technical and detailed with raised boxes......but we wanted simple, quick and easy! We positioned our old chicken coop in the center to use as a garden shed and remind us of our old home......some things are just hard to let go of:) I also built these tiered teepees for my tomatoes and green beans. 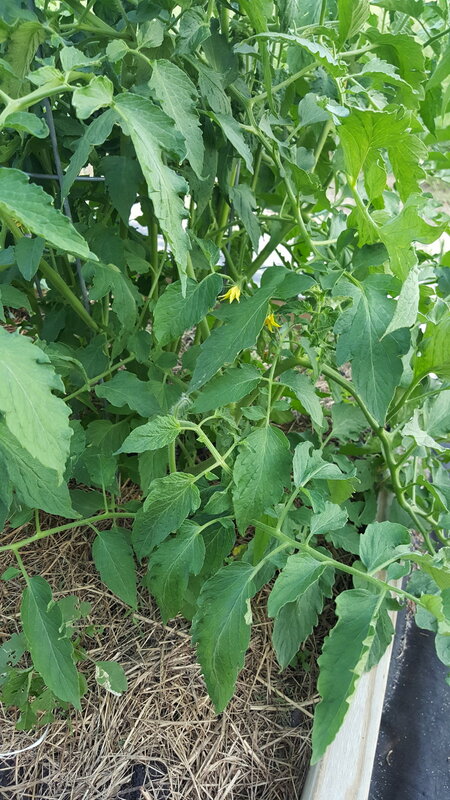 Here's what I have learned in my gardening journey. It takes time.....what I dream up now may not become reality for a few more years but my goal this year was a garden I could pick from for a few meals, share with friends and have a place to be when building was taking over. I also love that I learned more about my children this gardening season! 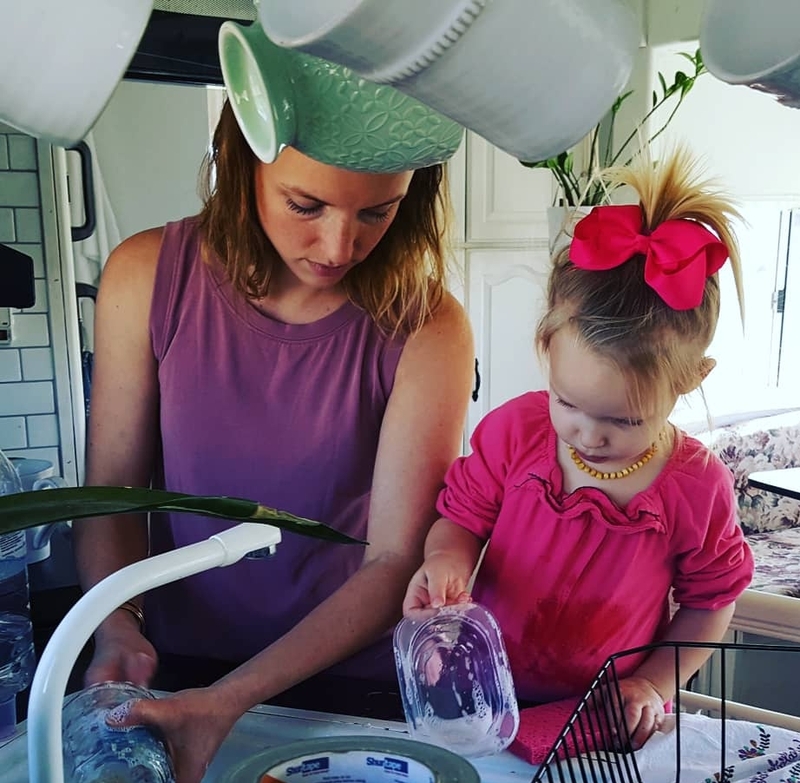 Our oldest would rather clean the RV and do dishes while our 3rd born and only son has really shown a love for gardening, planting seeds, watering them and watching them grow. This became a time where we spent quality time together.....I can't even describe the look on his face as he picked carrots that he grew himself!! If you are dreaming of a garden.....just start! you wont regret it, and take your time, start small and enjoy the process! As we are halfway through the summer time you may be thinking "well its to late to plant" join me as I start planning my fall crop! Think Pumpkins, kale, broccoli, and more!! Happy Gardening!! This is my story. I hope you're inspired to uncover worth in you and everything you do. All content is © The Hillcrest House. Please do not take images or content from this site without written permission.